This post was originally published on March 10, 2010. It was substantially revised and re-posted on December 28, 2015. It’s been worn a by a moon and a bird, a witch and a Friend. 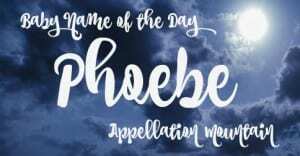 Thanks to Breanna for suggesting Phoebe as our Baby Name of the Day. In Greek, phoibos means bright. 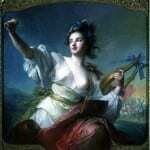 The original Phoibe was a moon goddess – grandmama to Artemis in some tellings. In one famous story, Phoibe falls for a handsome shepherd named Endymion. Zeus grants Endymion eternal youth, so that the lovers will never be separated. One of Saturn’s moons is named in honor of the goddess, making this a night sky name. Phoebe is the Latinized spelling, and the English, too. Besides the moon, it’s the name of a genus of evergreen trees and a small bird. The bird’s song is said to sound like fee bee, hence the name. If goddesses and growing things aren’t enough, there’s also a Biblical tie. In the New Testament, this name belongs to a Christian woman living in Corinth, often referred to as a deaconess. St. Paul admired her terribly, and the Catholic church considers her a saint. Like many a Biblical name, it first became popular in English following the Protestant Reformation. My favorite fictional use comes from the age of rail travel. Circa 1900, railroad travel was less than elegant. 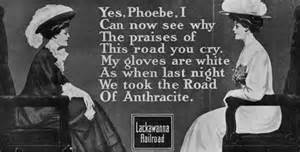 Enter Miss Phoebe Snow, a demure young lady unafraid to travel from Manhattan to Buffalo via the Lackawanna Railroad clad head-to-toe in white, from parasol to high-buttoned shoes. She was once among the most recognized of corporate icons. Actress Phoebe Cates, a staple of 1980s favorites like Gremlins and Fast Times at Ridgemont High. Lisa Kudrow’s quirky character on Friends from 1994 to 2004. Kudrow won an Emmy on the mega-hit series. Beginning in 1998, we followed the adventures of three witchy sisters, all with names starting with the letter P on supernatural drama Charmed. Alyssa Milano played Phoebe, sister to Prudence, Piper, and later cousin Paige. This name’s heyday might have been pre-rankings. In the 1880s and 90s, it ranked in the 200s in the US. By the 1960s, it was obscure, and spent much of the 60s, 70s, and 80s beyond the Top 1000. The popularity of Ms. Cates helped revive the name. By 1989, it was back in the US Top 1000. Friends debuted five years later, and Phoebe has climbed steadily since. As of 2014, the name ranked #298 – its most popular in a century. It’s on track to rise even higher in the coming years, a Greek name for girls less common than Chloe, Zoe, or Penelope, with an appealing tie to the natural world, too. And yet, for now, this name remains relatively underused – a great, nickname-proof possibility for a daughter. Do you think Phoebe will continue to rise? Name Help: Porter or Phoebe? Abby- What do you think of Phoebe to go along with siblings Hugo & Fiona? Are Fiona & Phoebe too matchy? I love the background of the name, literature and greek mythology make it a win for me. I’d love anyone’s thought on this! We named one of our three girls Phoebe Aurelia. 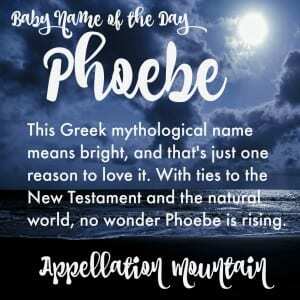 I adore names with nicknames, and though this name doesn’t have a true nickname, we call her all sorts of funny things–Phoebs, Phoebe-beebee, Phoebola bobeebola, Phoebows, the list goes on an on. What I love about the name is that it is instantly recognizable and very uncommon. I have not run across one Phoebe at any play date, school function, anything! Yet, no one looks at you funny when you say, “Phoebe.” Occasionally, doctor’s staff do say, “Phobe?” but I suppose that will happen. Our Phoebe has a delightful, sweet, fun-loving personality. This is so encouraging! Thank you! We are expecting our third girl and Phoebe is our frontrunner. Glad you’ve had a good experience. Oooh, great choice for NotD — it made me go check the DMNES entry, and realize it wasn’t yet finalized, and so decide to sit down and finish it up. It’ll be in our next edition, hopefully coming out next week. My husband is obsessed with “P” names for girls, especially Penelope, Phoebe, & Piper. I like them all – I do worry about the rising popularity of all of them, though! I would never use Phoebe personally, but I do love the name’s subtle quirkiness (and that’s not do to any Friends influence since I never watched the show). For a very short amount of time there was a kids’ show — a cartoon called “A Touch of Blue in the Stars” — that featured a girl named Phoebe who went by Bee. I love Phoebe as well. It’s so quirky and cute. I’m really torn between the spellings Phebe and Phoebe though. Caroline, I have a Phoebe Jane too — how funny! I really dont like Phoebe at all…I think it has something to do with the sound. FEE-BEE. It just sounds…ick. I’d rather use Portia or Penelope. One more Phoebe: in Mystic Pizza, the little girl that Kat was babysitting was named Phoebe. Yes!! I always think of that sweet little girl in that film. I have a two year old girl named Phoebe. I LOVE her name. It simply sings to me. Everything about it. I love that it is a name that comes with so much history. In the beginning we got some pretty sketchy responses to her name. Half of the people seemed to love it and the other half didn’t like it at all. But I must say that even the people who hated it eventually started to warm up to it. It is that kind of name, Meg – people don’t expect it, so it takes a few minutes to sink in. But it is a great choice. And JNE, I love Fifi as a nickname. Fabulous! I love Hugh Laurie. Thanks, Photoquilty! I love Phoebe and as usual, really appreciate your write-up. It’s nice to see a name from different angles. I like the name too – only downside being I have to think a little harder on how to spell Phoebe. I know. We do get Pheobe a lot. I just say “like Phoenix!” I do feel sorry for her when she actually has to learn her letters. It really makes no phonemic sense at all! 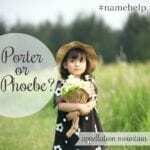 Phebe is also the name of the second female lead in Louisa May Alcott’s books Eight Cousins and Rose in Bloom. She is a young servant (and friend of the wealthy protagonist) who becomes an accomplished singer. Interesting, Holey – thank you! I love Phoebe! So much that my 2 yr old daughter is named Phoebe Jane! Funnily, it was my husband who insisted on Phoebe. It doesn’t seem like a “guy” name to me, but he was always in love with Phoebe Cates. I love it because of many of the reasons you stated. It’s about as classic as you get, though you don’t hear it often, it’s Biblical, but that’s not the first connotation, it’s literary, but not pretentious. I always feel like the odd spelling might be a little bit of a deterrent to many parents choosing it. (Although I think I told you of my horror at meeting a “Phoebee” at the grocery. Revolting!) Overall, it’s a spunky little name, exactly like my daughter! Most men look at me blankly and ask if we’ll have Monica and Chandler next! Phoebe Jane is a great name! Thanks! I think so too. Jane is my grandmother’s name. I love it as much as Phoebe…sometimes I wish I’d saved it for a first name! I love Phoebe Jane as well, though I love my middle name, (it’s my grandmother’s) Jean. I love the way Phoebe goes with both Jane and Jean. I absolutely ADORE Phoebe !!! Phoebe is vibrant, spunky, girly without being frilly, sweet & suitable to any age. It’s a dynamic name to me.It’s also brilliant in any type of sibset, whether it’s a subtle or obvious theme. I also really love the moon part, a I have a think for ‘moon’ names (I also love Selene & Luna). If you wanted a subtle, name geekey link, I think Luna,Selene & Phoebe would be really interesting as a sibset. The Afrikaans spelling is Febe though it is said exactly the same.All of the nicknames are fabulous, even the ultra cutesy ones that usually make me cringe I like. It’s also popular in Britain (in 2008 it was ranked 26).I think the British celeb Tess Daly has a daughter named Phoebe. I like Phoebe. A friend in England recently chose it for their new baby girl. I love that there are great nn options: Fifi, Bee (yes, I like it spelled like the insect), Bebe, and even Phoebes. The history is nice too. Yes, Phoebe is a name I could stand to hear more of. […] even a daffy middle name. […] Yes, she’s the scheming sea witch who makes a deal with the Little Mermaid. […] Ends-in-e feels like a big category for girls right now, from Zoe and Chloe to Daphne and Phoebe. […] Jennifer Aniston helped propel her character’s name into the US Top Ten.